In some cases, tracking attendance for a course is unnecessary. Luckily, our Master Scheduler module has a simple way to exclude sections from attendance. Here’s how to do it. Open the Master Scheduler in QuickSchools. Click the School Settings tab. Click the Configure Courses button by the number 4. Search the Course Catalog using a few letters, partial name, or full name. Click the section, and the Edit Course menu will appear. 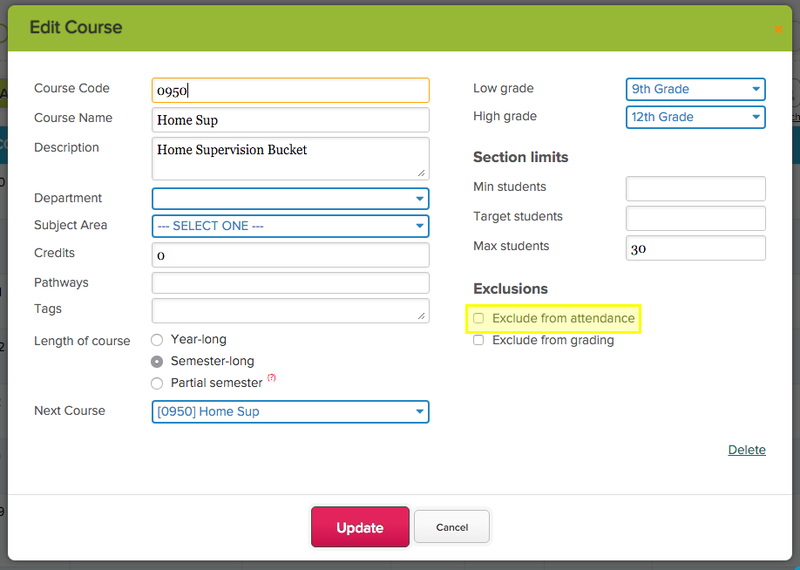 Under Exclusions on the lower right, click the checkbox next to “Exclude from attendance.” Click Update. That’s it! Now the section will no longer appear in attendance.